With the upcoming release of Coffee Cup Tales under my own publishing imprint, I am receiving a crash course on what needs doing in order to make it more successful than Harry Potter, 50 Shades, and The Bible combined. Well, maybe not the Bible ... that thing is always on the bestseller list. It comes down to creativity. There isn't one side to this practice. Creativity is a three-dimensional object with at least two sides. On the one side is the creation and editing of the product in question. This is a labor of love ... Yes, even the editing is embraced by many writers who feel it is the opportune time to rewrite to their current standards, and not the ones of that writer in the past who happens to be them. Right, time paradox, I know. We creative folks see the other side of creativity at the time the story or book is released, especially when we are doing it on our own. This side isn't the most exciting for some writers because it involves the sale and promotion of their material. This includes blog tours, interviews, promotion of books, signings, and so many other things they fear people, including other writers, roll their eyes at. For example, mentioning Coffee Cup Tales a second time is one of those items authors feel aren't necessary. Here's the thing -- it has always been this way. Before the big publishing houses took over the world, creative folk had to sell their wares wherever and whenever they could. There were no marketing departments, web pages, press releases, or big box bookstores. They needed to go door to door asking folks to display or sell their work. Heck, some authors printed their own books -- the first example of print-on-demand. And yet, they still managed to produce new material at the same time they were selling their first work. Like they say, what comes around goes around. Creative people may have better tools to promote their work across the globe; however, they aren't doing anything different than their predecessors of a few centuries ago. I think of this every time I go through the list of promotions I need to do after I release Coffee Cup Tales and realize it's going to be okay. 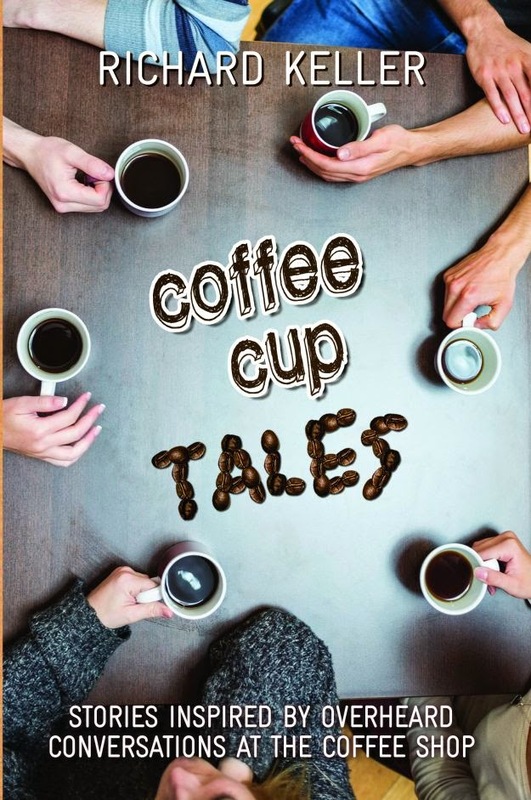 Rich Keller's new book, Coffee Cup Tales, is scheduled for release on April 29th by Wooden Pants Publishing. Rich believes mentioning the title four times is enough. Now you've reminded me of all I have to do before November. I feel this horrible sinking feeling...like getting sucked into a lake of quicksand. I admire your resolve to be more successful than the authors of Harry Potter and Fifty Shades. Good luck with this. Today is the day, April 29!!!! Hoping all is going swimmingly! I admire your effort and success! Congratulations! Great post, Rich! I must admit, all that promotion stuff is a bit daunting to me.